I am Commander Koga, Commanding Officer of JS Yuudachi. JS Yuudachi is the third ship of Murasame-class multi-purpose destroyer, equipped with guns, anti-air/anti-surface missiles, anti-submarine torpedoes, electro-magnetic weapons, patrol helicopters, etc. 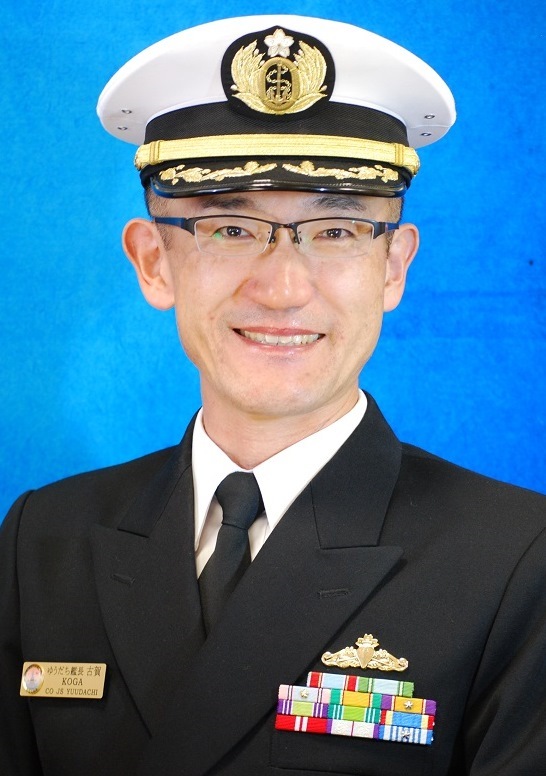 After commissioned in March 1999, JS Yuudachi has joined various types of operations such as regular patrol, counter-piracy operations in vicinity of Somalia, and multilateral exercises. JS Yuudachi is home-ported in Ohminato, Mutsu City, Aomori Prefecture, a northern town with warm-heartedness surrounded by beautiful nature and filled with marine and mountain products. Approximately 160 crew, most of whom are originally from Tohoku and Hokkaido, enjoy working here. JS Yuudachi will celebrate her 20th Anniversary in March 2019. She is about to hit her “middle age”, but we crew have a strong will to do our best in our daily missions, trainings and maintenance to keep our ship better than any newer ships. 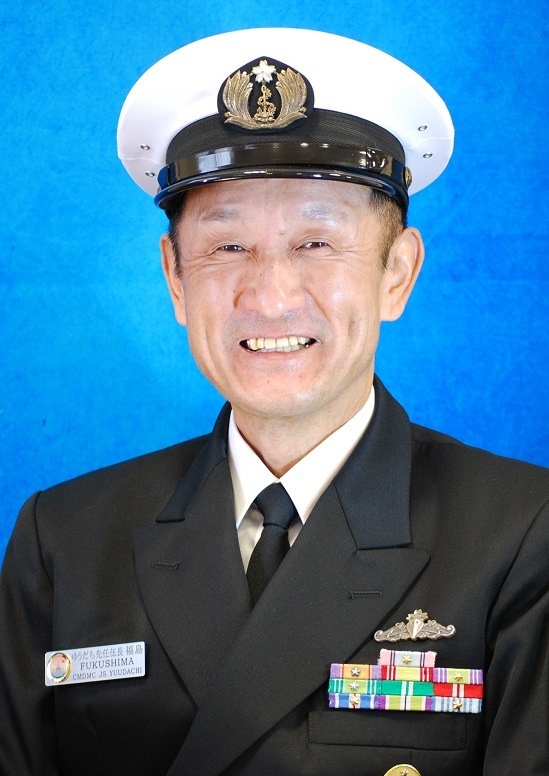 I am CPO Fukushima, Command Master Chief of JS Yuudachi. JS Yuudachi is the third ship of Murasame-class multi-purpose helicopters-carrying destroyer home-ported in Mutsu City, Aomori Prefecture. We have made efforts to meet expections of Japanese and foreign people, and participated in missions from defense of Japan to counter-piracy operations in vicinity of Somalia. We crew are looking forward to meeting you in our open-ship events!